Bracket challenge: We have a two-way tie for first in the Axios Sports group. One reader has Auburn winning it all, while the other has Virginia. Check your bracket. Win a jersey: Even if your bracket's busted, you still have a chance to win your favorite player's jersey. Click here to refer a friend to Axios Sports. Each referral = one "ticket" in the lottery. We'll announce the winners next week. The opening weekend of March Madness was somewhat of a letdown, as it produced very little drama and only a handful of upsets. 15 of the 16 second-round games were won by the higher seed! Boring!!! The silver lining, of course, was that the best teams were still alive when the second weekend rolled around, and oh my goodness did they deliver — particularly on Saturday and Sunday. What happened: This weekend's Elite Eight was the best Elite Eight ever, with all four games coming down to the wire and two going to overtime. Yes, that is my personal opinion, but it's also backed up by #math. The four games were decided by a combined 18 points, the smallest combined margin in Elite Eight history. If we take into account that two of those games required overtime and ended in five-point and six-point victories, the total point differential at the end of regulation this weekend was seven points — or less than two points per contest. 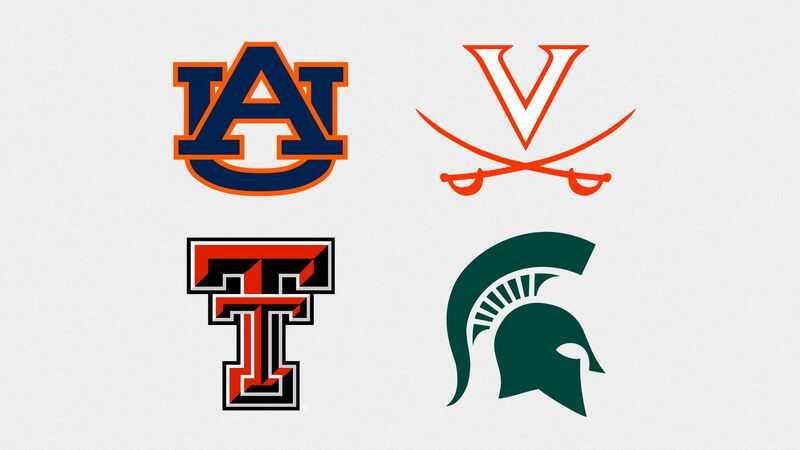 What's next: The Final Four gets underway in Minneapolis next Saturday, with Auburn taking on Virginia and Texas Tech facing off against Michigan State. The theme of this year's festivities: "Firsts." Schools: This is the first-ever Final Four for Texas Tech and Auburn, and it's Virginia's first trip since George Orwell's favorite year, 1984. Michigan State is the only frequent visitor, having gotten here twice already this decade (2010, 2015). Coaches: Texas Tech's Chris Beard, Virginia's Tony Bennett and Auburn's Bruce Pearl will all be coaching in their first Final Four. Michigan State's Tom Izzo will be coaching in his eighth. Titles: Last year's participants (Loyola-Chicago, Michigan, Villanova, Kansas) had all won at least one national title. This year, only Michigan State has (1979, 2000). Those two combined titles are the fewest for a Final Four field since 1994 when Duke had two and Arkansas (the eventual winner), Arizona and Florida had zero. Roger Federer won his 101st career singles title yesterday, defeating John Isner, 6-1, 6-4 in the final of the Miami Open. By the numbers: Let's zoom out on the 37-year-old's remarkable career. Feb. 4, 2001: The date Federer won his first career title, at age 19, in Milan, defeating Julien Boutter of France, 6-4, 6-7 (7), 6-4. 70: Number of titles on hard courts, most of any surface. He has won 18 tournaments on grass, 11 on clay and two on indoor carpet (including his first title in Milan). 50: Number of different opponents, from 25 different countries, who Federer has defeated in a tournament final. 25 of those opponents are now retired, according to the ATP. 19: Number of countries in which Federer has won a title. 10: Number of times he has beaten Rafael Nadal in a final, most of any opponent. No. 2 is Andy Roddick, who he's beaten seven times. UConn was given a No. 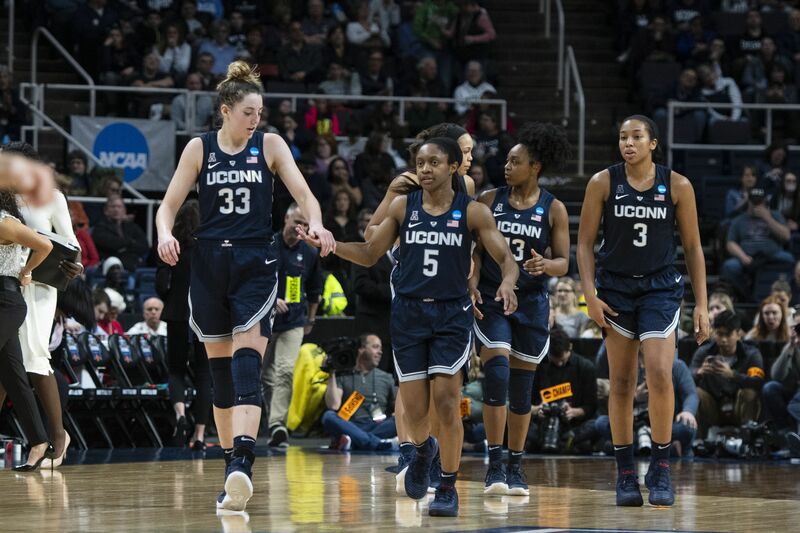 2 seed in this year's women's NCAA Tournament, a surprising twist for a Huskies team that was ranked second in the AP poll for the final eight weeks of the season. Based on yesterday's outcome, the committee appears to have made a mistake, as the Huskies dispatched top-seeded Louisville 80-73 to avenge their loss to the Cardinals back in January. In theaters: "300" and "Blades of Glory"
P.S. ... Fellow No. 2 seed Oregon knocked off top-seeded Mississippi State yesterday to reach the program's first Final Four. The field is nearly set, with two more games tonight. 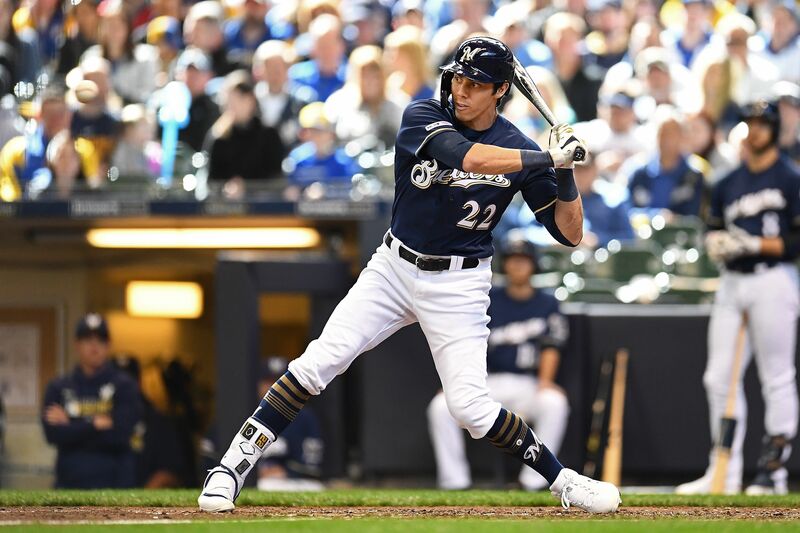 Milwaukee Brewers outfielder Christian Yelich has picked up right where his MVP season left off — and heck, he might be even better. 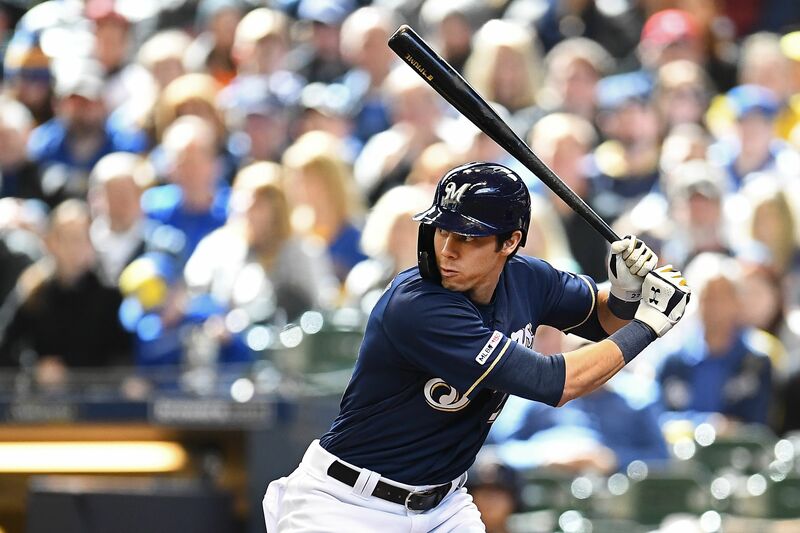 Yelich is the sixth player in MLB history to start a season with homers in four consecutive games, tying Willie Mays (1971), Mark McGwire (1998), Nelson Cruz (2011), Chris Davis (2013) and Trevor Story (2016). 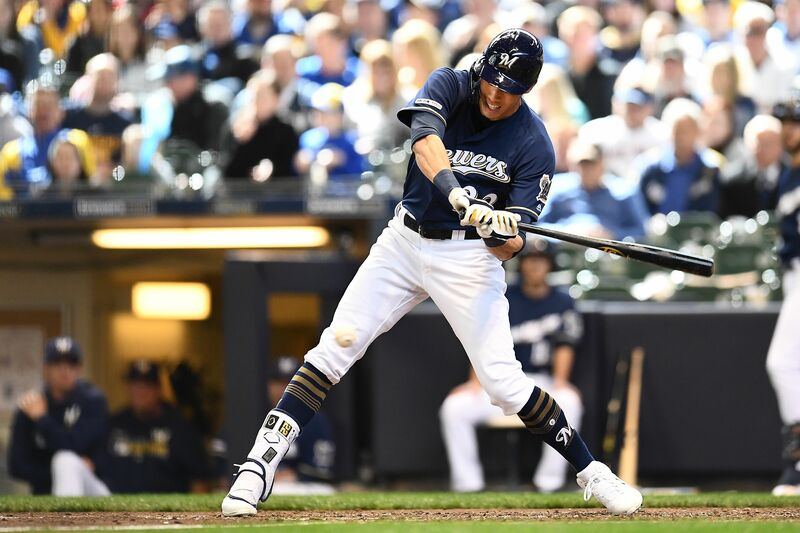 He also hit a walk-off, two-run double in the ninth (off a 102 mph heater) to give the Brewers a 5-4 victory over the Cardinals yesterday. Through four games, Yelich is hitting .500 and has reached base in 12 of his 18 plate appearances. He's already drawn six intentional walks. 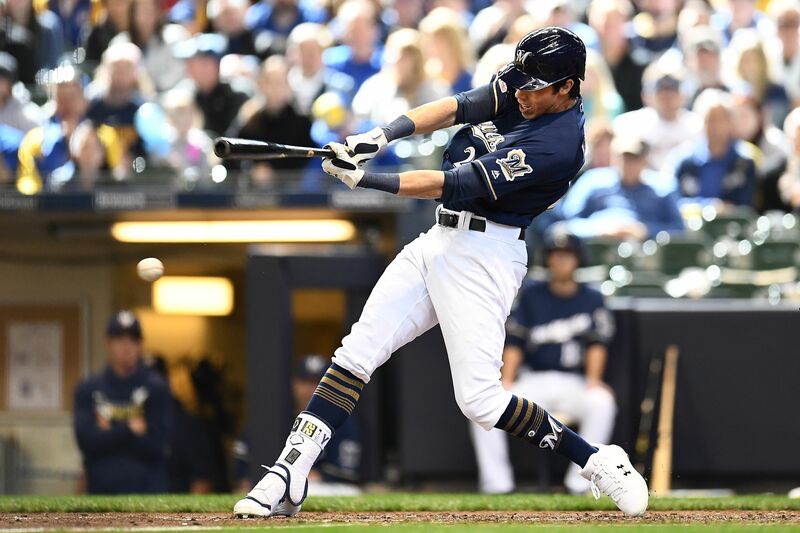 The big picture: Since last season's All-Star Game, Yelich is hitting .373 with 29 HR and 75 RBI in 69 games, with a .462 on-base percentage and .806 slugging percentage. "I've never seen anyone this good at baseball for this long. I mean, maybe [Barry] Bonds in his prime. As great as [Mike] Trout is. I've seen [Albert] Pujols. I've never seen anyone this good for this long." From Mike Sykes: With just nine days left in the NBA regular season, nearly half of the league's 32 teams are entangled in a playoff race of some kind. The best of the West: The Warriors (52-24) sit in first, with the Nuggets (51-25) one game back and the Rockets (49-28) 3.5 games back. The rest of the West: Just 4.5 games separate the other five playoff teams: Trail Blazers (48-28), Jazz (46-30), Clippers (47-31), Spurs (44-33) and Thunder (44-33). All eight playoff teams have been decided, but they'll all be jockeying for position the rest of the way. First in the East: It's a long shot, but the Raptors (54-23) are just three games behind the Bucks (57-20), who lost to the Hawks on a Trae Young buzzer-beater yesterday. Fourth in the East: The Celtics (45-32) and Pacers (45-32) are tied for fourth in the East. Whoever wins that battle will get home-court advantage when they (almost certainly) play each other in the first round. The bottom of the East: This is the race with the highest stakes, as teams aren't just jockeying for position — they're fighting for their playoff lives. Fun fact: Blake Griffin is one of three players averaging at least 24 points, 7 rebounds and 5 assists this season. The other two? Giannis Antetokounmpo and LeBron James. Bad news: The Nets have the toughest remaining schedule in the league. Hot streak: Miami is 7-3 in its last 10 games. Hot streak: The Magic are 17-8 since Feb. 1. The intrigue: The Hornets' chances are fading fast, having lost two games in a row. Then again, they do have Kemba Walker. And it's March. This weekend: Providence dominated Cornell 4-0, UMass dominated Notre Dame 4-0, Denver dominated American International 3-0 and Minnesota Duluth didn't dominate but still handily beat Quinnipiac 3-1. The Frozen Four: While perennial powers like Michigan, Boston College, North Dakota and Minnesota are absent from this year's field, there are still some familiar faces — and one newcomer. Minnesota Duluth: Third straight appearance (won title in 2018). Denver: Third appearance in four years (won title in 2017). Providence: First appearance since they won the title in 2015. UMass: First-ever Frozen Four appearance. It was only 12 years ago that it made its first-ever tournament appearance. What's next: The fun begins on April 11. UMass vs. Denver and Providence vs. Minnesota Duluth. See you there. Question: Can you name the last player to lead the NFL in both receiving yards and receiving touchdowns in a season? Hint: In 2005, Steve Smith led the NFL in receiving yards but was tied for receiving touchdowns. This player was Smith's teammate for four seasons in Carolina. 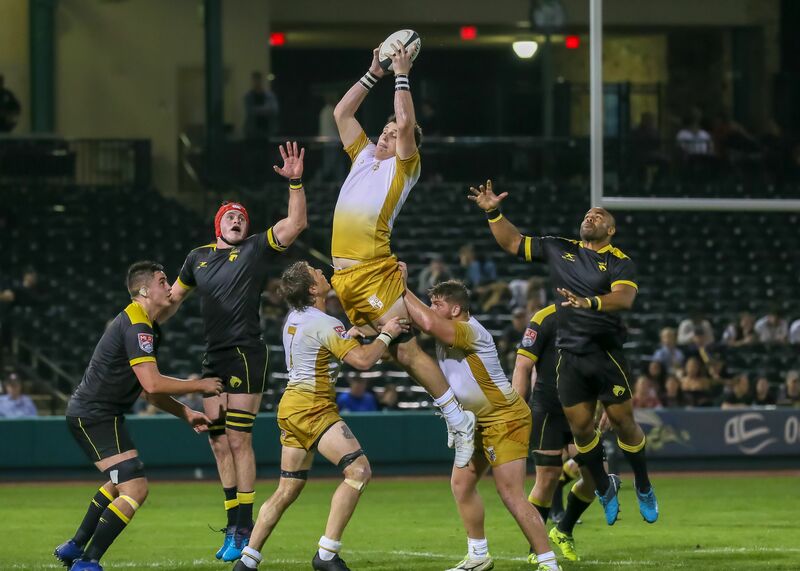 From Mike Sykes: U.S.-based Major League Rugby is halfway through its second season, with last year's sixth-place finisher, Nola Gold, currently sitting atop the league. The big picture: Major League Rugby plans to expand to 12 teams next season, with new franchises in Atlanta, New England and Washington, D.C.
We caught up with Chris Dunlavey, owner of the D.C. team (dubbed Old Glory D.C.) to chat about the league's expansion, why D.C. is a great place for the sport and rugby's global culture. What does Old Glory D.C.'s target audience look like? There are three levels: The U.S. rugby community, meaning players who have been engaged in the game; the international community living in our region; and the military family population who have gotten to know the game. Beyond that is what I call the "general family entertainment market." What are your growth goals and how do you accomplish them? We're fine operating on a more modest scale of success. If you look at the strongest rugby clubs around the world, they're all modest. We're not interested in competing with the NFL. We just want to prove that we're viable. For that to happen, and for this to work long term, we need to help grow the sport in the region and build out the youth game. Sell our readers on rugby. Go. There's something about rugby players putting their bodies on the line that builds a sense of camaraderie among teammates and fans, alike. The culture of the sport also has a very global feel to it. That all comes together into a Rugby ethos, and the communities around these teams feel it. 49 years ago today, the Seattle Pilots relocated to Milwaukee just one year after beginning play. The backdrop: The Pilots began in Seattle in 1969 as part of a four-team expansion that also saw the debuts of the Montreal Expos, Kansas City Royals and San Diego Padres. But after just one season, the team went bankrupt and was sold to former Milwaukee Braves minority owner, and future MLB commissioner, Bud Selig, who was leading the effort to bring baseball back to Milwaukee. 1. Will Cubs vs. Braves go Over/Under 8 runs? Know this: The Cubs (1-2) have scored an average of 6.7 runs this season, while the Braves (0-3) have scored an average of 3.7. 2. 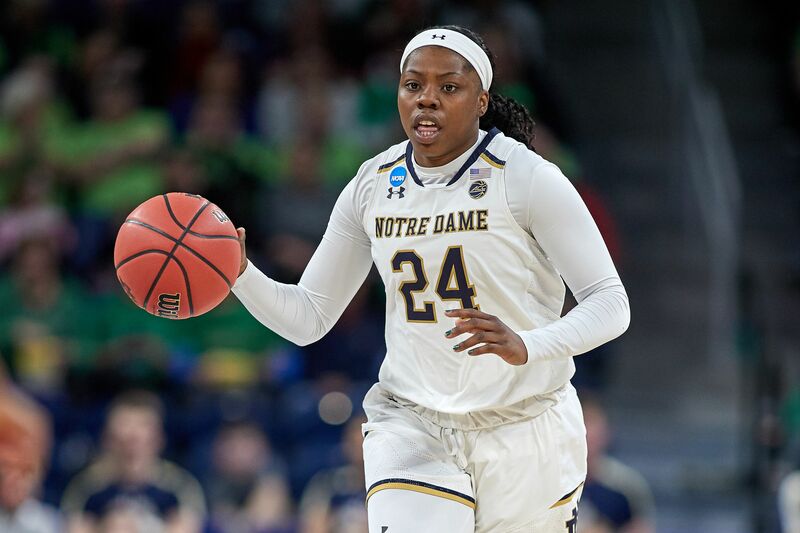 Will Notre Dame's Arike Ogunbowale score Over/Under 23.5 points against Stanford tonight? Know this: Ogunbowale averaged 21.2 points per game this season. For the tournament, she’s averaging 26.7. 3. Who will cover the spread in Hornets vs. Jazz (-11.5)? Know this: The Jazz have won nine of their last 10 games by an average of 17.5 points.